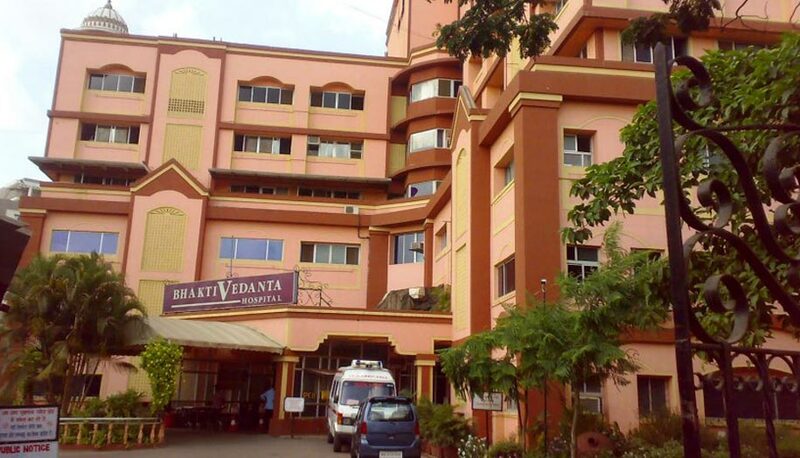 Bhaktivedanta Hospital is primarily a non-profit organization which is located on Mira Road, Mumbai and has proven to be a pillar of strength for the people of the communities nearby. The hospital currently has about 360 staff members and over 100 consulting specialists. The hospital uses the most advanced medical technology, ably supported by best of the faculty with the unique broad minded approach to Allopathy, Ayurveda, Homeopathy & other complimentary medical therapies. Bhaktivedanta Hospital is designed and structured to provide holistic health care for the body, mind and soul.With the aim of achieving these objectives, the Hospital is committed for establishing necessary facilities of international standards, conducting research programs in various fields of health/patient care and ensuring that the research findings are translated into improvements in patient care. It is the endeavor of the Hospital to provide care of world standard and that too at a reasonable cost, and in deserving cases, totally free. With the aim of achieving these objectives, the Hospital is committed for establishing necessary facilities of international standards, conducting research programs in various fields of health/patient care and ensuring that the research findings are translated into improvements in patient care. The Hospital also aims at developing professional management, creating an environment conducive to team spirit, and is always ready to resolve acute and chronic health problems of patients and to promote preventive medical care in the society at large. Our ultimate objective is to see that each patient leaves the hospital with improved physical and mental health and with the feeling that the institution exists only for the patient and that the “patient is always the most important individual here”. Every employee of the hospital is encouraged to develop him or herself and rise further in the organization. Employee’s Performance is evaluated on a number of factors such as job knowledge, competency, initiative and creativity, inter-personal relationship and discipline and adherence to spiritual principles of the organization. Bhaktivedanta Hospital was established not just to meet the health needs but to also give solace for their mind and spirit. A non-profit organization supported by philanthropic donors, it extends its services to the society in form of subsidized treatment of the underprivileged, an active role in treatment of disaster victims and free health camps for the needy. The spacious and sparkling clean premises are permeated with ethereal calmness as soothing devotional music plays in the background. Modern medical technology and healthcare is offered with a unique integrated approach to Ayurveda, Homeopathy and other complementary medical therapies. Trained members of staff from the dedicated spiritual care department offer counselling, prayers and meditation for the patients and relatives to help them face the trials of disease. Each year, a general health checkup is performed for over 900 children in five schools. Free palliative care is provided to the terminally ill in their homes and free medical check-ups for economically deprived groups are conducted periodically. The positive influence of Radhanath Swami on the team of Bhaktivedanta Hospital has been immense. Radhanath Swami has given the team a sense of purpose in serving the medically deprived people at a very affordable cost. Through his search for the ultimate benefit for the society and his practice he explains to us the importance and purpose of life. Radhanath Swami’s autobiography “The Journey Home” recounts his journey, which is filled with bizarre characters, mystical experiences, and dangerous adventures, to ultimately gain sacred knowledge and wisdom. Bhaktivedanta Hospital offers the twin advantage of ultra-modern medicine together with the ancient knowledge of different alternative therapies to provide a holistic approach to patient care. Bhaktivedanta Hospital takes the onus of it being a pillar of the Mira-Bhayandar community with pride. It has initiated various services like the Green Paper forum (aimed at making Mira Road area better through collective participation) as well as many free medical camps. The hospital continuously augments its equipment, infrastructure and services to keep pace with the changing times. It has been possible only with the help of philanthropic and committed donors and supporters of Bhaktivedanta, primarily “a-not-for-profit” institution. The Spiritual Care Department at Bhaktivedanta is a dedicated Team, who reaches out particularly to the patients and generally to all sections of society and helps them through a diligent spiritual approach. The department is based on the understanding that the ‘cure’ begins with the healing of the mind. While treating the patient for all physical ailments, the mind is also provided comfort and emotional care. Devotional music and lectures on spiritual subject matters in the wards, offices, labs, mortuary (in fact, everywhere in the hospital) through the speakers system ensure a spiritual ambiance is felt by all. Spiritual paintings are displayed all over the hospital with the sweet aroma of incense in the air providing a relaxed and unorthodox environment, not usually associated with the grim atmosphere of a generic hospital. All food served to patients in the hospital is sanctified in using traditional Vedic methods and no meat, fish, eggs or alcohol is permitted in the hospital to ensure the vibe of purity is sustained throughout the hospital. All the patients are visited each day by a Spiritual Care Assistant. The Assistant greets the patient, offers them a token of care in the form of a sanctified sweet or savory item, reads for the patients from spiritual books and engages in deep discussion about his / her routine schedules and diet and whenever desired. Before any operation, personal care is given by the Spiritual Care Assistants to the patients. A cart with spiritual deities visits each bed daily, this provides an opportunity for the patients to engage in the loving exchange of spiritual relationship building through worship. Patients have the chance to offer fresh flowers, ghee lamps and see the beautiful deities, which are usually only found in temples. This provides the patient with new found motivation and truly shows how much the members of Bhaktivedanta Hospital care deeply for their patients, not only from a physical health perspective but also from a spiritual well being point of view. End of Life Care is given in the ICU for terminally ill patients. This includes devotional prayers, consumption of edible sanctified items and patient family care both during the ordeal of death and thereafter.